For those of you who know me well, I am sure the title came as a complete shock. Wow! Talking about himself again. Surprisingly, it is difficult for me to always present myself to others and to make myself available to others. In the business world, we have business cards. Business cards actually date back to 15th century China. It was originally used when someone went to “call” on another person. It announced who they were and, in the event that the person they were visiting was not available, it served as a physical reminder of the visit. As technology moves forward, we see many different varieties and formats of business cards. From laminated to tent-fold to holographic, the business card has started to say as much about the kind of person it represents as what they do. In 1995, the Versit Consortium, which consisted of Apple, AT&T Technologies (later Lucent), IBM and Siemens, introduced the “vCard.” The vCard, also referenced as .vcf, was to become the standard for electronic/digital business cards. It was a short file which could include name and address information, phone numbers, e-mail addresses, URLs, logos, photographs, and even audio clips. While vCards are still in use in many companies, the advent of web-enabled, graphic-enhanced phones and wireless laptops with great video displays has birthed a new form of digital business card. 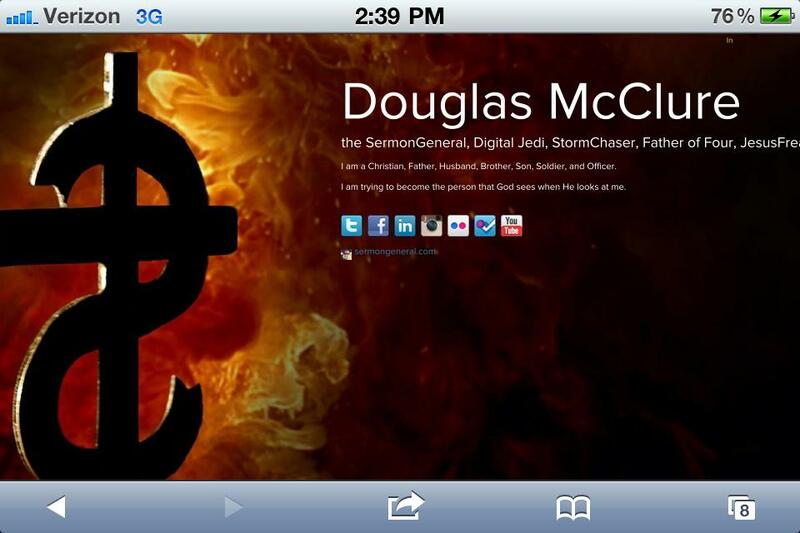 This screenshot is taken from my about.me page at http://about.me/douglasmcclure. The about.me service is highly customizable and did I tell you it was FREE! That’s right, free! They did not even have a form of upgrading available that I could tell! Your about.me has placeholders for your name and biographical information. It also has places for links to your social networking connections. This can act like a launching pad to everywhere that you are on the web! or even include it in your Twitter and Facebook profiles. There is room for websites about you and about what you do and what you care about! It can be, and should be, updated as your life changes! You can customize the background and even the size and type of font. It took me about 15 minutes to set up and after publishing, it can tell you how many visits and people have looked at it. Just another way to help you drive more traffic to what is going on!